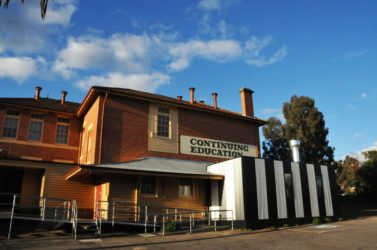 The intention is to create a training facility for the delivery of hospitality courses tailored for young people wishing to move into the catering and hospitality industry. 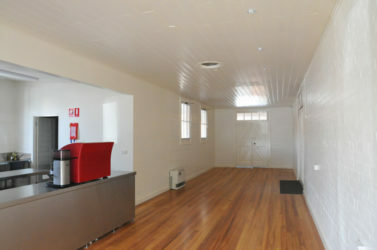 The facility comprises two spaces. 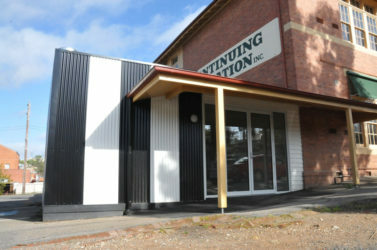 The seating and teaching space consists of the renovation and upgrade of an existing 1920’s extension to the original brick building. 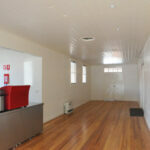 Partitions that divided the space into smaller rooms were removed to return the space to its original single volume. 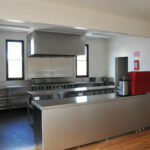 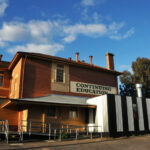 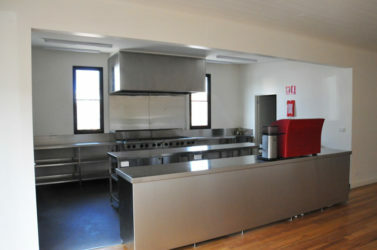 The new training kitchen occupies and reworks the area of a 1980’s addition that was previously unused. 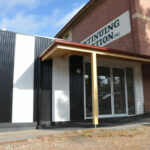 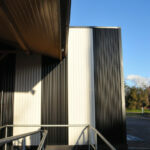 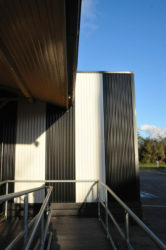 The black and white cladding was chosen to create a unique identity for the training facility.